Friendship. Joy. Love of Latvian dance. 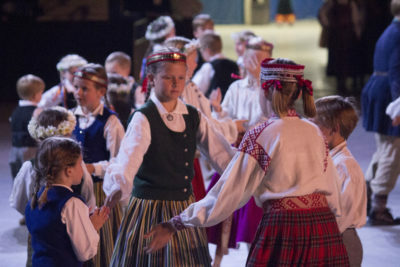 These are the guiding principles of the dance committee for the 2019 Song and Dance Festival in Toronto and for the three main dance events : TDA « Līgo » concert, New Choreography Show and the Folk Dance Spectacle. Each promises to be unique and distinct from the others. You won’t want to miss out on any one of them! 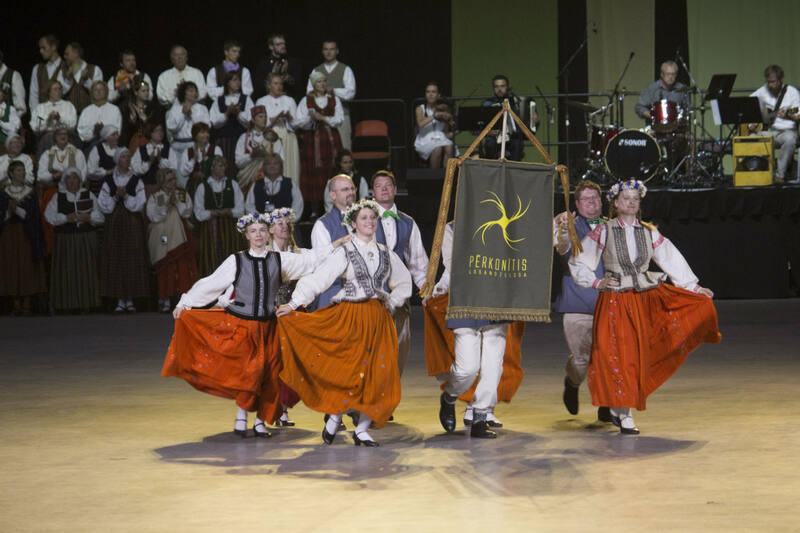 The show by Folk Dance Ensamble TDA “Līgo” which is one of Latvia’s most-awarded dance groups, will be held on Thursday, July 4th. Led by Jānis Purviņš, an extremely talented and creative individual who has been Artistic and Executive Director for many Dance Festivals in Latvia, is also the originator of many unique and compelling choreographies. This show will allow the audience to experience the emotional connection that Jānis and his group have for Latvian dance through new choreographies. The New Choreography Showcase and Competition, on Friday, July 5th, will feature submissions from dance groups from Canada, the United States, Latvia, as well as other European countries. 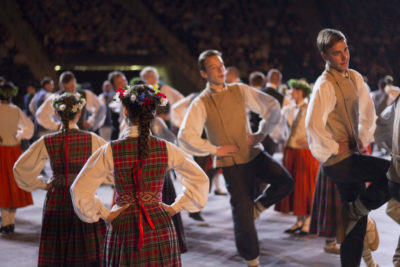 As Latvian culture evolves, so do our folk dances. This event will showcase new choreographies and provide you an opportunity to witness the creative process in action. The Latvian dance tradition is alive and well and will be on full display in this Showcase. Lastly, we have our Folk Dance Spectacle on Sunday, July 7th. It will showcase the many hundreds of Latvian dancers participating from across the globe and performing together as one. Through the movements of Latvian folk dancing they will create beautiful patterns and Latvian symbols visible to the audience. Live musical accompaniment will enhance the experience for everyone! 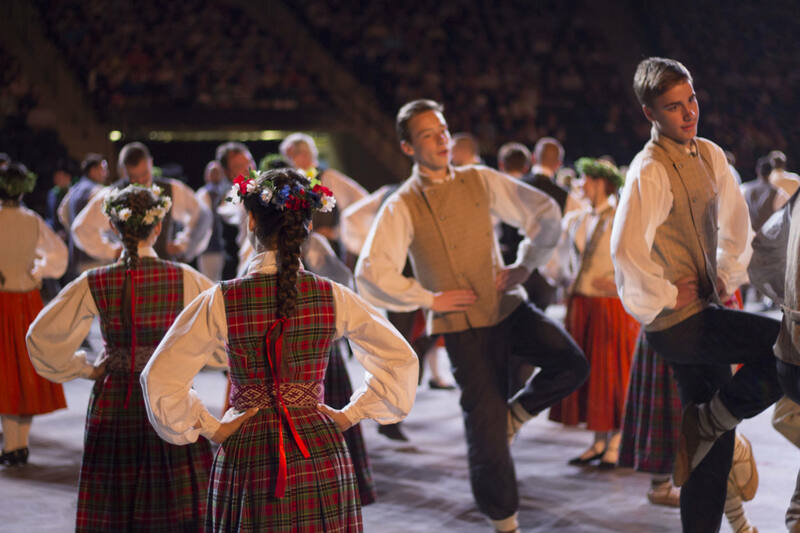 This Spectacle will show to the world what is most important within Latvian dance: Friendship – Joy – and a love of Latvian dance!